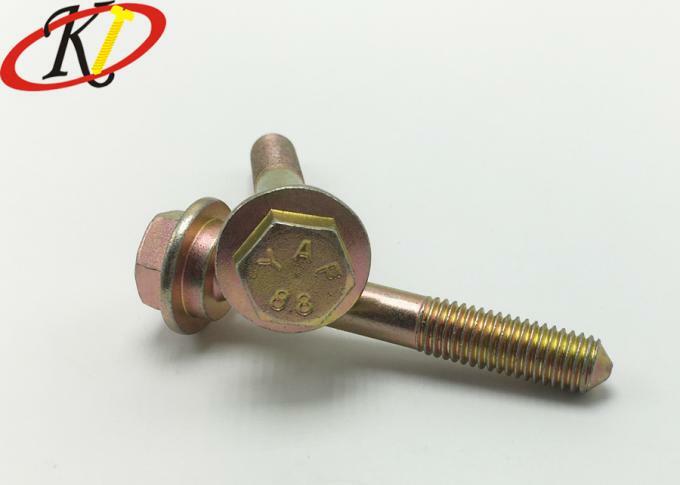 Flange bolts are fully-threaded fasteners with a hexagonal head for use with a wrench or a socket drive. Sometimes called Frame bolts, flange bolts are different from standard bolts as they are designed with a circular flange or a skirt under the head that functions as a built-in washer and distributes the force evenly across the surface to which it will be fastened. The flange helps compensate for excess space in large or misaligned holes yielding increased resistance to rotational loosening. 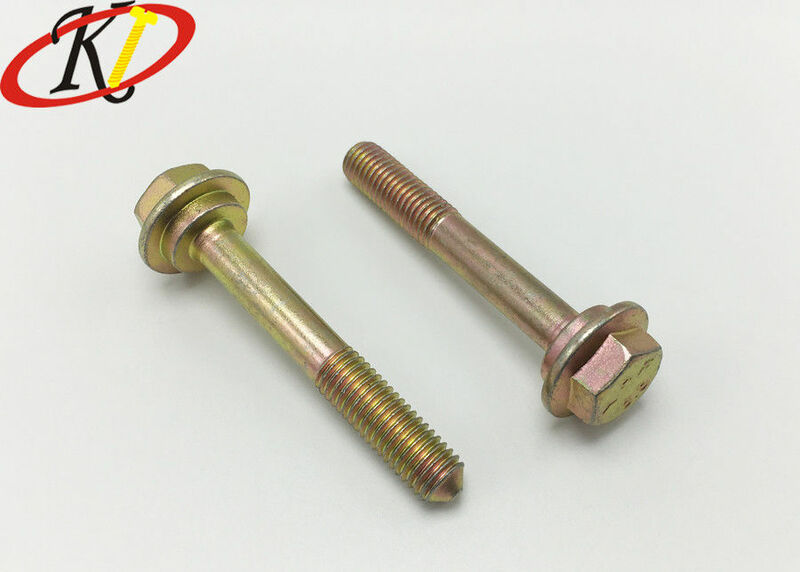 Used in automotive applications, plumbing, and more, flange bolts feature a washer like flange beneath the bolt head that speeds production time and distributes the clamping load, offering protection to the mating surface. Besides, OEM service is also available if samples or drawing pictures can be provided. 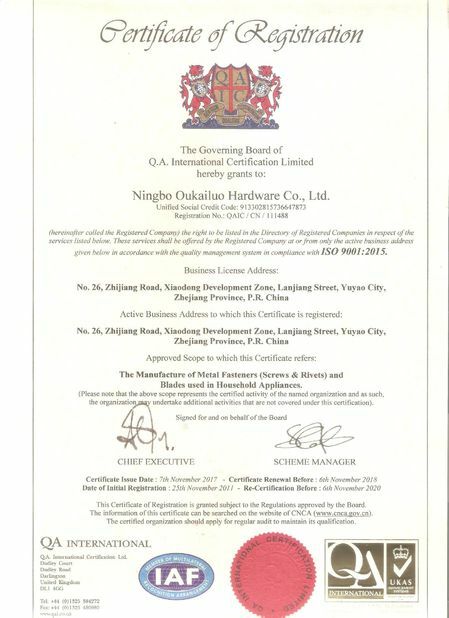 Oukailuo has been verified by BV and ISO 9001 international quality management system. Most of our fasteners are in line with ROHS standings(e.g. SGS, CTI). So they are in great demand not only in China but also in US, Europe, Oceania and South America. We have export our screws for over 10 years. 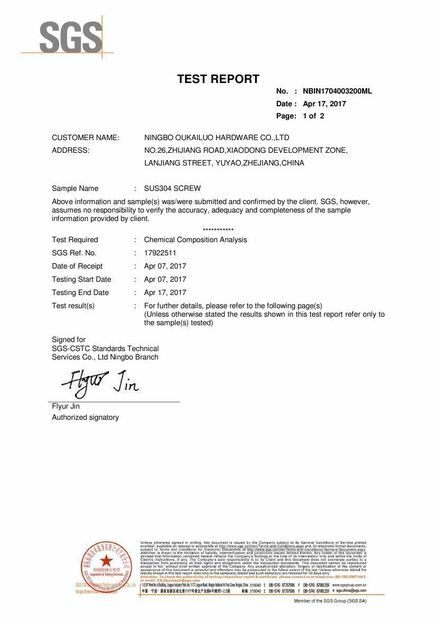 Our high quality products with competitive price and reliable service brings us reputation. At the same time, our profession research and manufacture team can give you some advice for choosing the most suitable screws for your applications. If you are interested in Flange Bolts, Please do not hesitate to email us or call us. Our professional team will assit you to purchased the quality products.